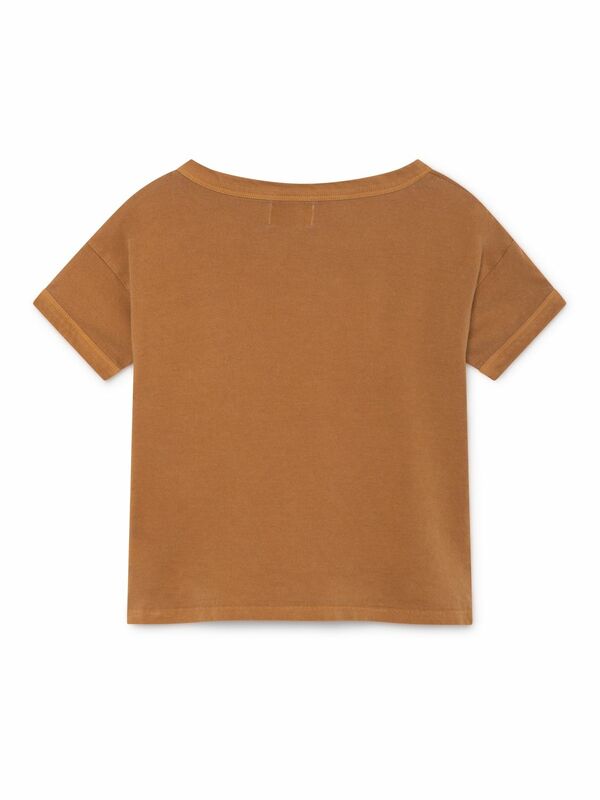 Brown loose short sleeve t-shirt. 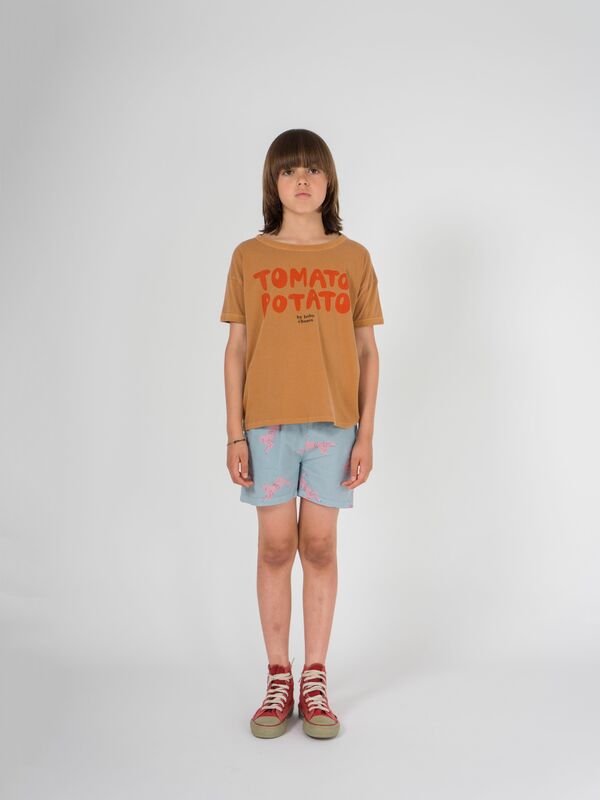 It features a print with the words "Tomato Potato" on the front. Made locally in Spain.